Trisha Yearwood, host of Food Network’s Trisha’s Southern Kitchen, is adored by fans as one of country music’s top stars, but among family and friends, Trisha Yearwood is best known for another talent: cooking. Throughout her life–from her humble roots in Georgia to her triumphant recording years in Nashville and a fulfilling married life with husand Garth Brooks in Oklahoma–Trisha has always enjoyed feeding those she loves. 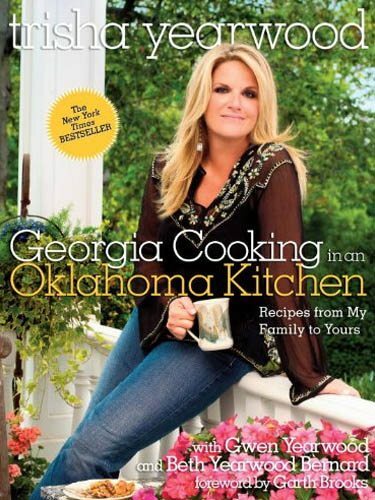 Now she dishes up a collection of more than 120 of her go-to recipes in a tribute to both home-grown cooking and family traditions.